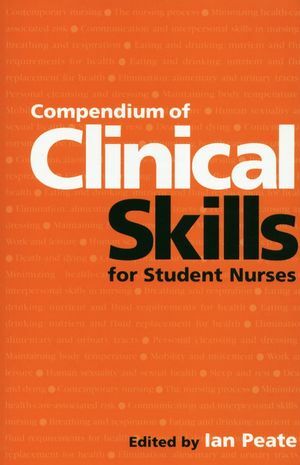 This textbook is primarily intended for student nurses, students studying for National Vocational Qualifications (levels II and III Health Care) and those students who are undertaking an Access to Nursing Course. It provides these students with a user-friendly and contemporary understanding of some of the key clinical practice issues that they will experience in clinical areas. The book presents the reader with an institutional perspective as well as a community approach to general aspects of adult nursing care. The text is clearly written with useful illustrations. A well known model of nursing is used in which to frame the information - Roper et al' s Activities of Living Model. The reader will begin to develop his/her practical nursing skills with a sound knowledge base underpinning the delivery of care. There are 14 chapters, a detailed glossary and a comprehensive list of "normal values" is included at the end. The book is designed to be used as a reference book in either the clinical setting, the classroom or at home. Edited by Ian Peate, Associate Head of School of Nursing and Midwifery, University of Hertfordshire, UK. The Nature of Nursing, Contemporary Nursing.